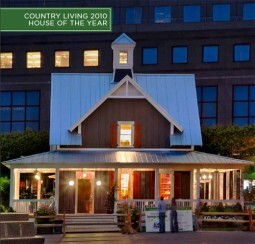 The following videos about the 2010 House of the Year were produced by Country Living magazine and narrated by their own Editor-in-Chief Sarah Gray Miller. The first video gives an overview of the construction process and the home’s green features. The second video focuses on transporting the home to the site.